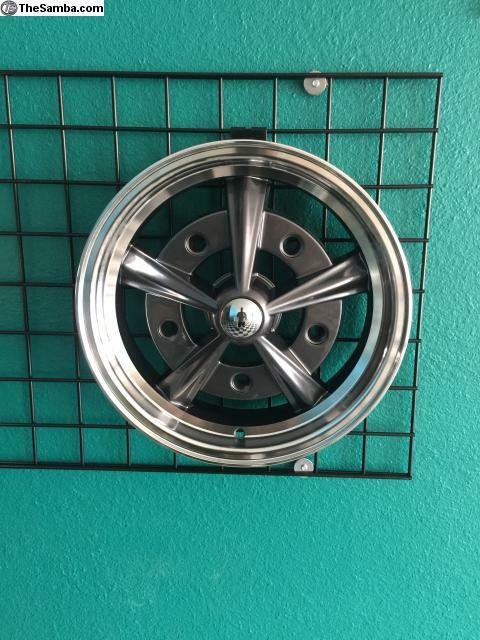 Empi Raider wheel 15x5, anthracite w/ polished lip 5/205. Comes with center cap and valve stem. Come on down and check them out!